On November 16, 2017, Pillion, an e-bike service startup, launched an electric bike taxi service with a fleet of 60 e-bikes in some of the most congested pockets of West Delhi. The service is available at a flag-down price of Rs 15, followed by Rs 5 per kilometre, and is targeting commuters from metro stations in the areas as the target customer base, thus, trying to address the issue of lack of last-mile connectivity. Another city, Mysuru, saw the launch of an electric car rental service on November 14, 2017. Zoomcar and Mahindra Electric have come together to launch a rental fleet of 20 electric cars and two fast charging units, targeting residents and visitors in the city. 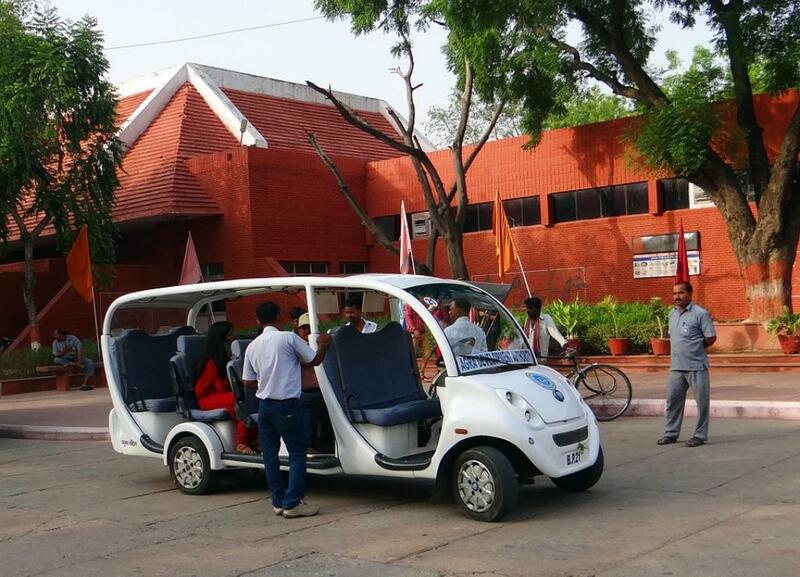 Electric cab services are garnering interest in Indian cities. Lithium Cabs, an all-electric cab service, originally from Bengaluru, has already started operations in the National Capital Region. Nagpur was the first city in India to have an electric cab fleet, introduced by Ola Cabs plying within the city limits. Vehicle utilisation is much higher when compared to individually owned vehicles. The electric vehicle will cover greater miles than internal combustion engine (ICE) vehicles during their lifetimes. Lifetime operating costs are significantly lower for electric vehicles compared to ICE vehicles. These findings by RethinkX are crucial for multiple aspects. Firstly, it builds the case for deployment of electric vehicles in public transport system and other optimisation services like car hires and taxi fleets. These electric vehicles, in turn, can play a role in avoiding emission of pollutants and greenhouse gases over their lifetime, as demonstrated by the Natural Resources Defense Council and Electric Power Research Institute. Moreover, the role of smart batteries fits the larger picture of smart grid and decentralised energy to stabilise peak loads. Reducing the total cost of ownership is important to build a robust economic case for the deployment of electric vehicles. The Global Green Growth Institute had helped Himachal Pradesh government identify the feasibility of electric buses in the state, highlighting through the cost of ownership model that switching to electric buses would reduce lifecycle maintenance cost by 85 per cent compared with existing buses, when both direct as well as indirect costs for diesel buses undergoing repair were considered. This is, in fact, consistent with Rethink’s findings, wherein an 80 per cent reduction in maintenance costs and 70 per cent decrease in fuel cost was identified. Deployment of EVs through shared transportation systems is important to demonstrate the feasibility of the vehicle as a whole. Public perception still remains antagonistic towards EVs as the CEO of Ather Energy had noted earlier this year. Current electric vehicles available in the market have created a negative perception about EVs in general, because they are poor-performing and low-speed vehicles. Deployment of EVs as buses and cabs can help change this negative perception.